As owner and general manager, Dr. Potvin ensures that people are treated as she would like to be treated....in a professional and courteous manner. She maintains the office and ensures that patients receive optimal vision care with state of the art instrumentation. She is very excited about the move to 939 Salem Street! The new office is more spacious to better accommodate the many optometric modalites that the practice now offers. The improved parking should make everyone smile! And with the improved handicap accessibility, the practice can reach many people who were unable to receive care before. Yes, she too is smiling! Dr. Potvin graduated from the New England College of Optometry in 1987 when she joined her father, Dr. Bernard S. Potvin, in practice. She began running the practice in 1988 and continues to do so. She is a member in good standing of The American Optometric Association (general body and contact lens section) and The Massachusetts Society of Optometrists. She holds her DPA and TPA licenses. Due to Multiple Sclerosis Dr. Potvin's ability to practice has been severly restricted, however she is in the office on most days in the afternoons addressing any issues and concerns. If you would like to speak directly with her, she is happy to schedule a convenient appointment. Dr. Potvin now offers Adaptive Therapy; helping people overcome vision disabilities in their everyday lives. Having the utmost confidence in her staff, she feels very fortunate to be able to continue offering primary eyecare to the community and enjoys the practice management aspect of Optometry. Dr. Nyla Lambert graduated with honors from The Ohio State University College of Optometry. She went on to do a residency through the VA Boston Healthcare System primarily in Jamaica Plain, Massachusetts. She is licensed in Massachusetts and is DPA and TPA certified. Dr. Lambert enjoys primary care optometry and contact lens work she specializes in geriatric care with a strong interest in low vision rehabilitation. Dr. Lambert is multilingual speaking English, French and Arabic. She is a member of the American Optometric Association and Massachusetts Society of Optometry. Dr. Lambert is in the office on Wednesdays, Thursdays and Fridays. She also covers one Saturday a month. ​Dr. Cathleen Doucette graduated with honors from The New England College of Optometry in 1997. She is affiliated with the AOA, MSO, and COVD and holds her DPA and TPA license in Massachusetts. She specializes in pediatric and young adult vision. She enjoys seeing her patients grow and meeting their changing vision requirements. Dr. Doucette has specialized in Vision Therapy to help our patients meet these changing vision requirements, whether it is school related, sport related or work related. Vision Therapy can be very beneficial to stroke victims and brain injury survivors! Dr. Doucette's professionalism and caring for her patients not only improves patient care but is very rewarding for Dr. Doucette as well. Dr. Doucette practices Tuesdays, Fridays and the first Saturday of the month. Wednesdays are Vision Therapy Days! ​Born and raised in Ottawa, Canada, Dr. Mein attended the Universtiy of Western Ontario and earned her Honours Bachelor of Science in 2011. ​Dr. Samantha Mein graduated from the New England College of Optometry in 2015. Dr. Mein is certified in both the United States and Canada. She maintains her optometry licenses in the states of Massachusetts and New Hampshire, where she is DPA and TPA certified. Dr. Mein is also certified to treat glaucoma in the state of NH. She is an active member of the American Optometric Association. Dr. Mein enjoys primary care optometry with a special interest in contact lenses. Dr. Mein practices Mondays, Tuesdays, Thursdays and Fridays. She will also be covering one Saturday per month. ​Monique Barton joined our office in February 2016. She has a strong business background in retail management. I first knew she was a business person when she worked for me on Main Street as a receptionist many years ago. It was a great loss when she joined the retail world at Macy's managing several departments at once. From there she became the assistant manager of Marshall's opening new stores for them and reforming stores in trouble. However, the retail rat race became overwhelming for her; she became the store manager at Zales at the Rockingham Mall. After building this store's business and exceeding expectations, she finally accepted that 70 hours a week at the holidays and no time for family was not her. Donna was retiring and I jumped at the chance to bring her back into our office as our new office manager. She excels at customer service, she is very professional and truly cares about patients. In a short amount of time, she has learned our patient management software, she can order contact lenses, deals with third parties efficiently and wants to continue to learn. But then again, she is the third generation of Potvins in this office! She is my niece and I am happy to have someone who shares in my enthusiasm for eyecare. It is in her blood! Please do not hesitate to bring any of your concerns or suggestions to her attention; you will be pleased in her responses. Dr. Laura Anne Potvin, P.C. is pleased to welcome our licensed optician, Tara Ullo. Tara graduated from the University of Missouri in 2006 with a degree in Sociology/Criminology. She chose to continue to work in the optical field in which she started as an optical assistant, repairing eyewear and performing final inspections. She became a Certified Optician in Missouri in 2003 and lucky for us became licensed in the state of Massachusetts in 2013. Tara is accomplished in fitting and measuring eyewear, verifying and dispensing eyewear, repairing and adjusting eyewear. You will typically find her in the dispensary. She may be backing up the front desk one minute and helping with insurance claims the next. Her positive energy and new ideas are a great benefit in promoting optimum customer service. Tara can even edge lenses to fit frames.... She has been making good use of our new finishing lab! 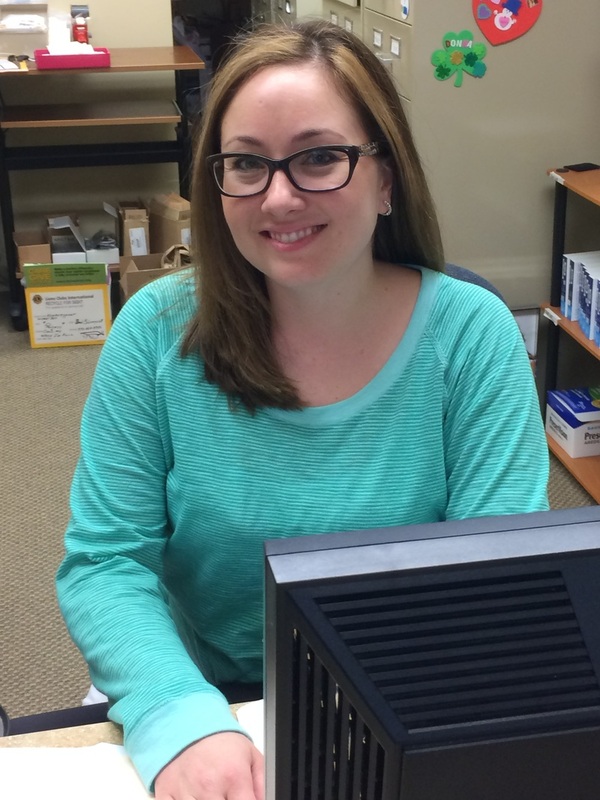 Tara is a member of the American Board of Opticianry and National Contact Lens Examiners. Deb Schiavoni is our accounts department. She is responsible for insurance remittances and patient accounts. Should you have questions regarding your insurance or account, ask Deb! If she doesn't have the answer, she will get it for you! ​Deb loves our patients! She has learned to perform entrance tests helping out the doctors and the office to continue to run smoothly. ​Hannah has recently joined our practice. She is studying to be an optometric technician as well as being an apprentice optician. Se has become proficient in many entrance tests: Keratometry, Auto-refraction, Depth Perception and Color Vision tests just to name a few. Hannah also shows her expertise while performing visual fields. Hannah is always willing to lend a hand where-ever one is needed. We are very pleased to have her as part of our staff. We are very pleased to have Kelley back with us. She will be fitting glasses in the dispensary, performing special tests, doing contact lens insertion and removal instruction. Kelley has over 15 years of experience in the optometric field. She is proficient in fittiing and measuring glasses. She takes the best fundus photos and is very exacting in her visual field testing. She is professional and loves our patients. Wanda Codair joined us in late 2018 as a front desk receptionist and office assistant. What a great find! She was correct her former U.S. Marine training has given her leadership abilities, dedication and the multi-tasking abilties needed our front desk. She comes in after her first job working at Triton Regional High school as an instructional assistant and covers our late afternoon shift. She is even helping my optometric assistant with entrance testing. Dr. Laura Anne Potvin, P.C. is glad she is part of our team. Dr. Kathleen Horn graduated with honors from the New England College of Optometry in 1991. She continued her education as a resident at Kittery Optometric Associates and Ophthalmic Consultant. She has her DPA and TPA certification in Massachusetts and New Hampshire where she is also certified to treat Glaucoma. Dr. Horn is a Diplomate of the American Board of Optometry. Over the last 15 years she has enjoyed primary care Optometry in various settings. She enjoys contact lens work as well as emergency care. She also enjoys working with children. She has been instrumental in new ophthalmic drug studies, determining their effect on patients. ​ She will be missed as a great doctor and even more as a true friend.